All in All It’s great ! Gourmet Food Hall often starts around local gastronomy, we believe your guests also deserve the best craft beer brewed on-site. We have selected the best water system, malts blend, yeast and hops we can find around. Malt Lab brews in your city: if you are enjoying one of our beer you're likely to be right in front of the Tanks it has been produced in. We are extremely concerned when it comes to craft quality. Each of our beer can be enjoyed from “tank to tap” thanks to the genuine passion and ritual precision of our brew masters. Our beers are served directly from the tanks without going through the classic Kegs! Crafting perfectly balanced beer is our passion. We simply believe that taking the time of properly mashing, lautering or fermenting our craft beer on-site is the only way to get fresh beer. We would happily feature a Yuzu infused Ale crafted in Roma, or a Hefeweißbier crafted in the NYC way. Every Malt Lab is globally though-after but systematically locally brewed in your city. We are a team of passionate entrepreneurs and F&B Professionals with 10 years experience in craft beer and Microbreweries. Our multicultural team is constantly traveling the world looking for opportunities and inspiration. We are making the best of these journeys to get the right insight when it come to our ingredient and new Craft Beers recipes ! Scaling-up micro-breweries one at the time, Malt Lab is a turnkey craft brewery solution to be developed in the Gourmet Food Hall and City Farmers 'Market worldwide. Ever thought of serving your own locally crafted beer conceived from scratched micro-brewery to adapt it to your Gourmet Food Hall? Malt Lab regionalizes your beverage offer with locally grown raw ingredient and locally crafted beers. From Tank to Tap! : We provide a full range of beer which can be directly enjoyed from the tap by your customers. Enjoy 5 different beer daily, together with our very #Brewinthecity beer and our seasonal recipe. This contemporary style pilsner is brewed using a traditional yeast strain and long cold aging process. The refreshing bitterness form new world hops balances the subtle malt sweetness. A great aroma, thanks to the generous late adding of hops meeting with a subtle caramel malt flavor. This ale finishes lighter on the palate than the IPA. A further dry hop in adds a fruity, spicy freshness to this beer. Our IPA is an American inspired, hop forward ale with a strong malt flavor. It has smooth richness and sweeter finish, balanced by the generous late use of the aroma hops, which leaves the beer with a fruity final taste. Influenced by continental dark lager, our dark contains balance of caramel and roast malts giving a finish similar to dark Chocolate. Your local special beer, like no others ! Branding your own beer with your logo, our brew master will make you tasting our best seasonal craft beer recipes. Dr.Wine is a French inspired wine bar opened in Shanghai in 2010. It is a timeless interpretation of a wine bar with a very cozy and intimate feeling. The venue has that authentic old Shanghai mood thanks to the vintage Former French Concession element, found and recovered in the neighborhood and second hand trade. It offers more than 120 references of wines coming both from the new and old world. Dr.Beer is an upscale microbrewery open in Shanghai in 2011. Located in various central locations, the place offers a great assortment of crafted beer and affordable western food favorites. The place fills up, every evening from 6.00 pm with a mixed crowd of local white collars and creative, who enjoy a well deserve break after a hectic Shanghai’s work day. The room is set around the impressive brewery tanks which contrast with the brick walls and the leather sofa of the place. All in one the guest enjoys a modern industrial feeling reminding of a NYC Meat-Packing District Loft. Malt Lab is a micro-brewery concept dedicated to offer local crafted beer to upcoming Gourmet Food Hall and Urban Food Market . Each beer served at Malt Lab is conceived, fermented and serve directly from the brewery. The various tanks and the brewery equipment remains fully visible to the guest. 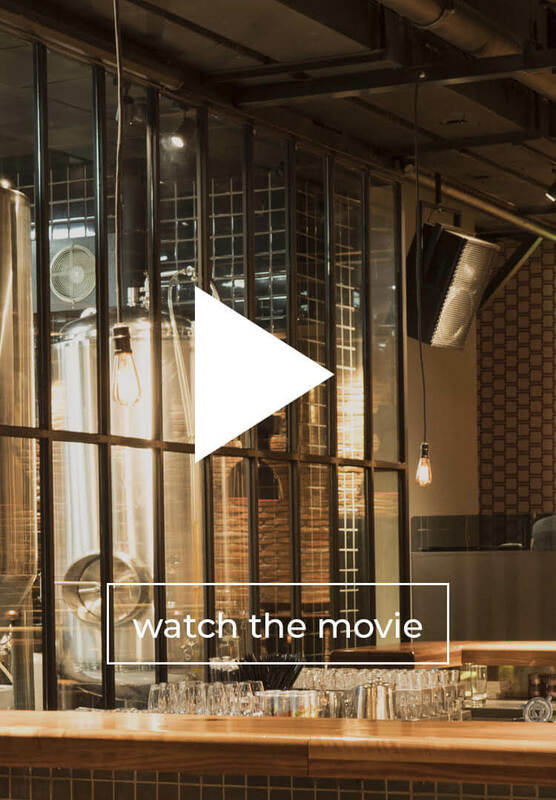 One of the key element of the concept is to localize the production and procurement of the main ingredient making our “Brew in the City” craft beer, simply unique and direct from tank to your table.